There are currently no Tullahoma notable alumni listed. Be the first to add an THS famous alumni. The memorials below are for students of Tullahoma High School that have passed away. The THS alumni site is made so that students and teachers from the Tullahoma high school can reconnect with those that they met while attending high school. Don't forget to upload your Tullahoma High School pictures and check on the latest info about any Tullahoma High School reunion. 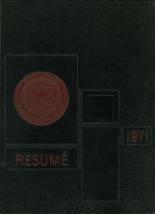 While you are reminiscing about the times you spent in high school at Tullahoma High School, you should also check out alumni photos, yearbook listings and share any reunion info if possible. Brynton Mikesell has someone searching for them. Lorretta Mccabe has someone searching for them. Walter Widner has someone searching for them. Betty Hawkersmith has someone searching for them. Kevin Delaney updated their profile picture. Kevin Delaney added photos to their personal photo gallery. Kevin Delaney registered as a THS alumni. Patsy Hunter Hancock updated her profile picture. Patsy Hunter Hancock added photos to their personal photo gallery. Patsy Hunter Hancock registered as a THS Class of 1971 alumni. Hugh Gardenier registered as a THS Class of 1969 alumni. Hugh Gardenier updated his profile picture. Hugh Gardenier added photos to their personal photo gallery. Malinda Cobb Pitts registered as a THS Class of 1993 alumni. Malinda Cobb Pitts added photos to their personal photo gallery. Malinda Cobb Pitts updated her profile picture.